Acknowledged author Gloria Galanes wrote Effective Group Discussion: Theory and Practice comprising 464 pages back in 2012. Textbook and etextbook are published under ISBN 007353434X and 9780073534343. 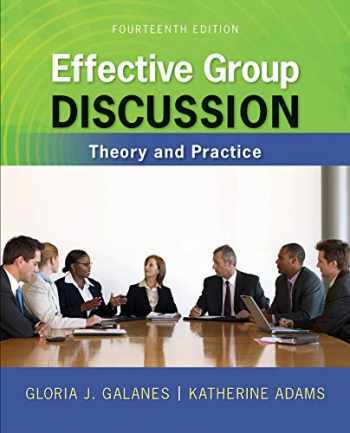 Since then Effective Group Discussion: Theory and Practice textbook was available to sell back to BooksRun online for the top buyback price of $7.44 or rent at the marketplace.